Fabric technologies are not a new thing by any means. 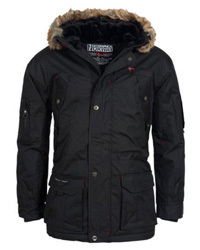 They have been around for quite some time, with Gore-Tex being one of the pioneers of these special fabrics. We have extensively looked at some different fabric technologies that are used nowadays in jackets and other outdoor garments. We have compared them to each other in order to provide a better understanding of how they work and how they affect the performance of a jacket. One of these fabric technologies that we have looked at before, too, is DryVent™ by The North Face. Now, you may know this already but HyVent and DryVent are not two different fabric technologies that we will be comparing to see which one is the better option. They are, in fact, the same technology. HyVent was renamed and redesigned as DryVent a couple of years prior, but at the core it maintained the same functionality principles and performance characteristics. Today we will be taking a look at how exactly the newer design, DryVent differs from its predecessor and go a bit more in-depth about the technology itself and how it performs, as well as the different types it comes in. In order to better understand how DryVent performs, it’s best to learn a bit about what fabric technologies actually do. While normal fabrics like nylon and polyester do, indeed, provide some level of protection against the elements, this is often very negligible. Polyester does not really get soaked itself due to its fibers being hydrophobic and nylon gets wet in a short amount of time, both resulting in water getting through and into contact with the wearer. This can quickly get dangerous when you are dealing with low temperatures as hypothermia is not something you want to have to deal with. This is where fabric technologies come into play. There are a variety of such technologies and no two are made alike, but their general function is the same: a waterproof barrier that at the same time allows moisture to wick away. 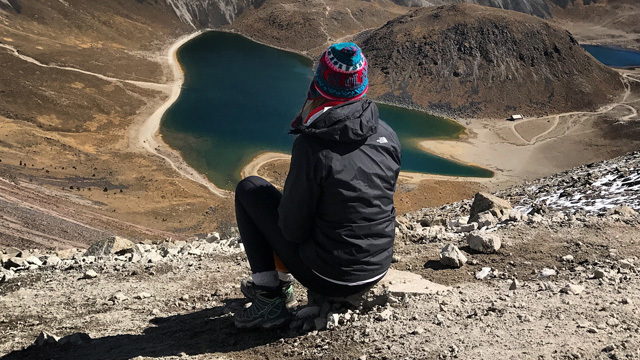 While being waterproof is the most important aspect of fabric technologies, as they are made for harsh and unpredictable weather that might change in an instant, breathability is also really important. A jacket that does not breathe well will defeat the purpose of keeping you dry because moisture from sweating will not have anywhere to go, leading to you getting drenched in sweat. This combination is what makes fabric technologies a necessity. 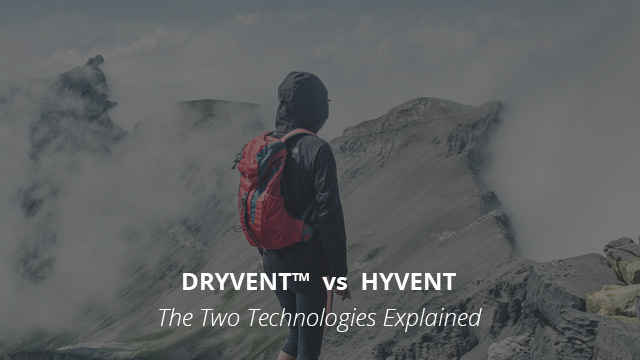 Now that you know that being waterproof and breathable are the two main qualities of a good fabric technology, let’s take a look at DryVent and HyVent’s composition and what actually gives them these features. Let’s start with HyVent, as it is the original design for this technology. HyVent was made with Polyurethane coating, which is a type of material that is able to withstand water while at the same time allowing tiny perspiration droplets to pass through. It is due to its microporous composition and hydrophobic quality that makes it capable of blocking out water drops from rain and snow, while moisture from the inside of the fabric lining can move through. With the renaming and redesigning, The North Face still maintained the core build of HyVent, that’s why in terms of functionality both technologies perform very similarly. However, DryVent has been developed a lot more extensively and, just like its predecessor, it goes through numerous complex tests, the purpose of which is to ensure that the fabric will have all of the qualities that it should. If we were to take into consideration other fabric technologies, say Gore-Tex, the word “membrane” would be mentioned several times. 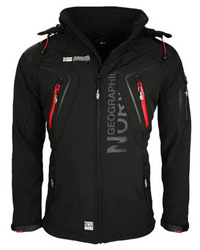 The reason for it being that Gore-Tex is indeed a membrane in itself. However, this is not the case for DryVent, which is a fabric technology that relies in the special PU coating that The North Face has developed itself. There is only one type of DryVent fabrics that classifies as membrane and we will mention it again below. We had to mention the lack of a membrane as it is a very specific feature of this technology, which also affects its wearability greatly. Because a soft fabric is used as the base material, which is then combined with the PU coating, this makes the garments that are made of DryVent technology very soft and flexible. 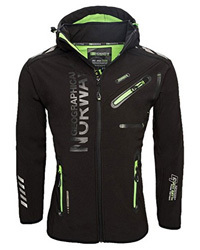 To give you a better idea of how DryVent differs, we mentioned in the comparison review of the Gore-Tex and DryVent that how they wear is a key difference as Gore-Tex is quite stiff due to its ePTFE membrane, whereas DryVent fabrics adapt better on the body and are a lot more comfortable to wear. This is an important quality of this technology, especially if you are a very active person that participates in sports such as rock climbing, that require a lot of upper body movement. DryVent is a waterproof fabric technology, which is also considerably breathable. You know by now that both these qualities are a result of the microporous PU coating that facilitates water vapor from sweat to move away from the body, while at the same time preventing water from rain and snow from getting through. In technical terms, however, how does DryVent measure up exactly? In regards to the waterproof rating DryVent measures at around 15.000mm and goes upwards of that, which classifies it as highly waterproof. In addition to the PU coating itself being water-repellent due to its hydrophobic quality, DryVent garments also get a DWR coating that further prevents water from getting through. DWR (Durable Water Repellent) is a coating that makes fabrics capable of repelling water by allowing drops to form on the surface and then causing them to roll off instead of pooling on top of the fabric and risking any seeping through. So, this is a breathable fabric, but exactly how well does it breathe? DryVent’s breathability rating is cited as being around 12-15.000 g/m2/24h, which makes it fall under the medium level of breathability. This means that DryVent jackets are suitable for a variety of different outdoor activities and are capable of breathing adequately. However, this is something that is also affected by temperatures and also by what type of DryVent fabric is being used. DryVent comes in three different types, which are aimed at different activities. The reason why there isn’t a single option is because not everyone requires an incredibly high-performance fabric on one hand, while on the other hand there are those that require very specialized fabrics, so for that reason the construction of the types is different. 2L stands for two layers, which consist of the outer layer made of woven fabric and the inner one, which is the PU coating. The DWR treatment is applied to the outer layer as the first barrier against water, while the inner PU layer further ensures that any water that might make it through the first layer does not go any further. 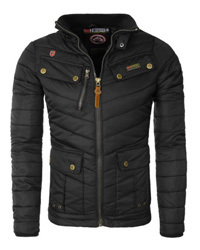 The PU coating is also the one responsible for the fabric’s breathability, as we mentioned above. This fabric is used for jackets that can be worn everyday or for those that serve as a protection layer, such as during skiing. Similarly to the 2L, this type of DryVent technology is made for more intense activities as it comes at a much lower weight and breathes considerably better than the previous option. It is used in jackets that are worn for running, hiking, cycling, etc. The 3 layer construction is the “membrane” one, as it consists of three parts, which are the outer abrasion-resistant layer, the middle PU coating layer and the inner breathable layer. This is a more specialized technology, aimed at athletes and those that partake in very intense activities in harsh conditions, like alpine sports. In conclusion, DryVent is a high-performance fabric technology that comes in different options so that everyone can find exactly what they need. In addition to that, it is also one of the more affordable technologies available, which is all the more reason to give it a shot.